An iconic art publication that presents Bhagwan Swaminarayan’s life, works and messages in 49 outstanding oil paintings. 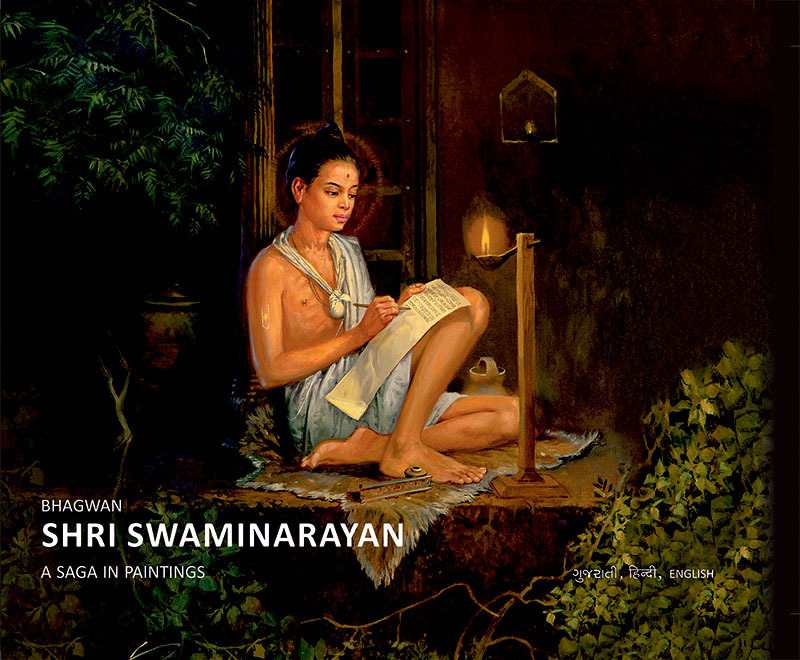 Painted over a period of 15 years by internationally acclaimed artist Shri Vasudeo Kamath, this album of paintings captures Bhagwan Swaminarayan’s life’s journey in realistic biographical paintings that beautifully blend history and creativity. The book is printed on special paper that truly brings the colorful paintings to life. The painting style is a modern revival of a rare historic religious art form.